It's time to lead different. Dave says that the world requires leaders who focus on purpose first, then profits. Leaders who know how to ignite invincible cultures that capture the spirit of their people will create sustainable competitive advantages. An imperative in these uncertain economic times. Leading an inspiring vision, a purpose to drive your business and core values to guide you and your team is the new leadership framework. Shift away from archaic, hierarchical organisation structures to a Circle Of Organisation Leadership. release innovation in your business while creating more meaningful work to drive employee engagement. 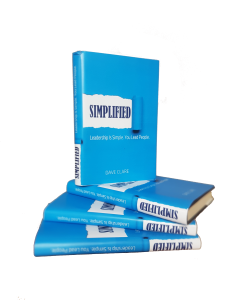 Dave isn’t just a leader, he is also an author, award winning international coach, facilitator and an enthusiastic and inspirational speaker. He has developed a new framework for leadership and has proven to create invincible cultures that unleash creativity and innovation. 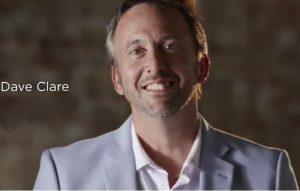 Dedicating more than a decade of his life to inspiring and creating purpose-driven leaders, Dave consistently shares his fundamental principles on leadership. Leadership is simple. You lead people. So all you need to do is understand people. Release innovation in your business while creating more meaningful work to drive employee engagement.